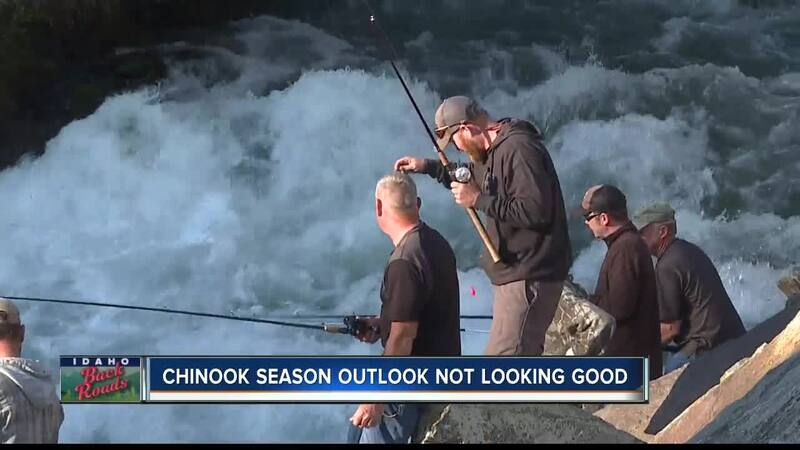 LEWISTON, Idaho — An early forecast by Idaho fisheries managers suggests a poor outlook for the upcoming Chinook salmon season. Last year managers expected a return of 107,400 Chinook, but only 67,595 returned. Joe DuPont with the Idaho Department of Fish and Game says he expects the return of about 9,800 hatchery Chinook bound for hatcheries on the Clearwater River. He says more than half of those will be needed for hatchery spawning. He says returns to the Rapid River Hatchery near Riggins will also be low. Environmental groups including Idaho Rivers United say dwindling runs in recent years are evidence that drastic measures are necessary to keep salmon returning to Idaho from the Pacific Ocean. Many say a series of eight dams on the Columbia and Snake Rivers is the main reason for declining runs. They are hoping the idea of breaching the four Snake River dams gains new traction. The idea had momentum in the late nineties. Fish and Game managers say ocean warming is a big reason for the decline in the past few years.